With the weather slightly cooling down, this linen blazer is great to keep you stylish during the day and warm at night. I picked a classic V-neck t-shirt for a clean simple look, playing with bold color on the mustard jeans — with accented paisley pocket square to balance the look. 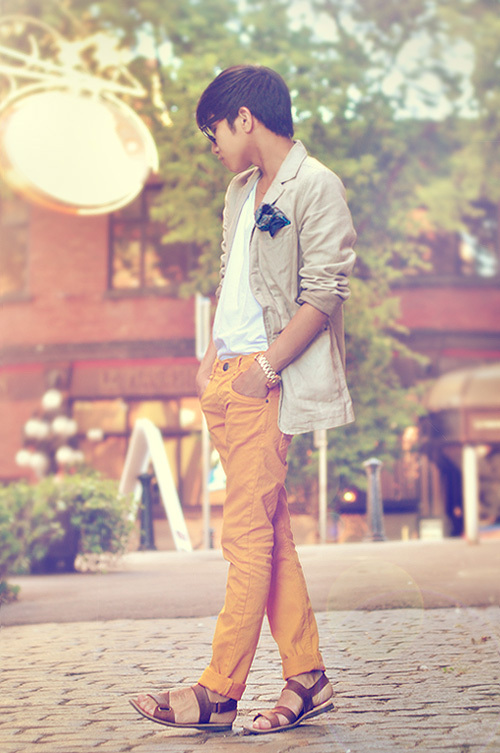 I love how this outfit can be minimal while being maximal. With the v-neck white t-shirt being so modest – the mustard jeans takes all the attention while the paisley pocket square plays it safe, adding a great detail into the look. Basically if you break it down, the idea is a simple pairing of “LOUD + QUIET” pieces. Yes, the mustard jeans can be a bit “too-much” for some observer but it is paired up well with neutral pieces. 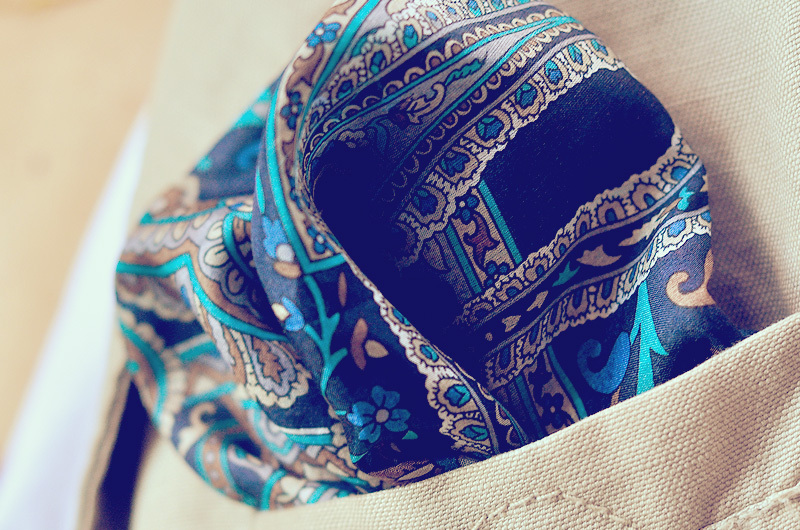 The paisley pocket square can be loud but it was made to be just an accent. So next time you think something is TOO MUCH or TOO LOUD — I say think again. There are many ways to offset a piece and make it wearable without looking like a clown. You are simply the most adorable thing on the internet! You are the MOST adorable thing on the internet!